After July 22, 2013 we will no longer accept entries. Winner will be announced after August 1, 2013. 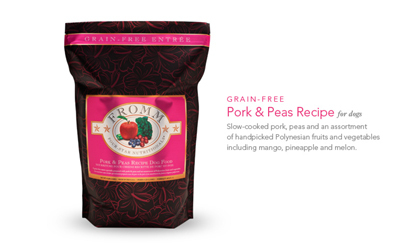 A 26lb Bag of Fromm's new Grain Free formula, Pork & Peas! Winner will receive a 26lb bag of their new Grain Free Four Star Formula, Pork & Peas! Last edited by bullmama; 07-05-2013 at 12:25 PM. That was my favorite picture out of the lot the other day , Wilson's got such a cute bully booty!